But here’s the thing – all the recent data protection laws are built for a simple reason: to provide better experiences for our customers and the people who trust us with their data. Be relevant, be helpful, be transparent, and you’ll be on your way to compliance. Be spammy, interruptive, aggressive, and you’ll be in trouble. 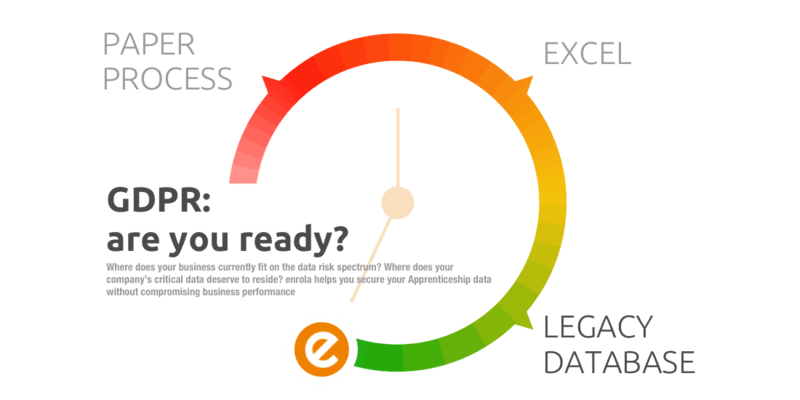 • Perhaps most importantly, the GDPR requires lawful basis for processing. In other words, you need a legal reason to use a contact’s data, like consent or legitimate interest. That’s bad news if you’re purchasing lists: not only is this not allowed under the enrola Acceptable Use Policy, but now it’s also not permitted under the GDPR. That may sound painful in the short term, but it’s good news for your company in the long run. Think about it. Who’s more likely to buy from you: a set of email addresses scraped off the internet who may or may not have ever heard of you, or a set of engaged contacts already interested in your product or service? We’ll take our chances with option two. Making sure you have established a lawful basis will lead to a more engaged list, better email deliverability, and fewer annoyed contacts. For many companies (and this includes enrola) GDPR compliance is stressful and work-heavy. But, as you work through those long hours reading through the GDPR and building out your processes, don’t forget the purpose behind the law: to provide better, more secure, more transparent experiences for your applicants. When your applicants win, you win too.